As well as casting we offer a complete service so you receive a finished cast ready to use. 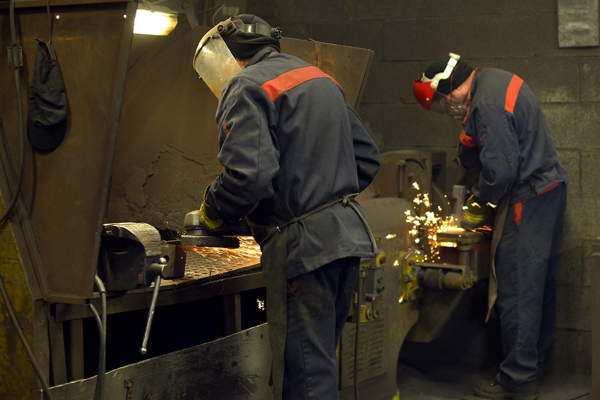 Leach & Thompson provide Shot Blasting, Fettling & Paint finishing of castings. Our shot blast facility includes a new 1800mm twin rotary table blast machine. Includes a fully equipped workshop with bench grinders, angle grinders, grinding stones, cutting disks, overhead lifting equipment and linishing belts. Our paint shop is kitted out to provide full priming of castings. Normalising, fully annealed, induction hardening, flame hardening, tempering, pre-machining treatments and post machining treatments. All processes are fully Lab certified to UKAS standard. Latest CNC machining, up to 5 axis head, turning centres.